As the nation prepares to reflect upon the 50th anniversary of the historic March on Washington for Jobs and Freedom, CNN will premiere a new documentary that captures the first-hand accounts of people who witnessed the momentous event. We Were There: The March on Washington – An Oral History will be hosted by CNN’s Don Lemon and will debut on Friday, August 23 at 10:00p.m., 1:00a.m., and 4:00a.m. on CNN/U.S. All times Eastern. Of the leaders of the “Big Six” civil rights organizations who spoke at the original event on August 28, 1963, only U.S. Rep. John Lewis (D-GA), then-chair of the Student Nonviolent Coordinating Committee (SNCC), remains alive. In his extended interview for the documentary, Lewis recounts details of a White House meeting including African American labor union president A. Philip Randolph, the leader of the March on Washington, then-President John F. Kennedy and Attorney General Robert F. Kennedy. Randolph announced the effort for a national nonviolent demonstration – as the Deep South convulsed during the hot 1963 summer of segregationist turmoil and violence. Throughout the hour, witnesses to the March and people who played vital behind-the-scenes roles organizing the event discuss what it meant to the progress of American civil rights. Rachelle Horowitz describes how she and other non-African-American young people were drawn to their involvement in the Movement, and later the March. Years before, she had begun volunteering with civil rights organizations following an accidental meeting with the charismatic Ella Baker and Bayard Rustin at just 17-years old. By the time of the March, Horowitz played a key role in arranging transportation for demonstrators coming from around the country to Washington, D.C. – and Horowitz helped to recruit her friend, now- U.S. Rep. Eleanor Holmes Norton (D-DC) to become a March organizer. 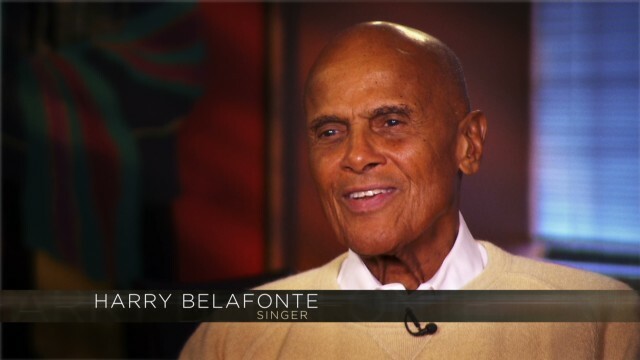 International actor and singer Harry Belafonte leveraged his celebrity to heighten awareness to the struggles and violence happening in the South, raised funds for civil rights actions, and recruited other celebrities to participate in the March. Belafonte attributes the multicultural, multi-faith, multidisciplinary legacy of the March as the reason why the achievement continues to inspire younger generations – and people all over the world. Senior producer James Polk and producer David Matthews explore several other eyewitness stories in an in-depth feature about the March on Washington on CNN.com. Video excerpts from the documentary will also be available online. We Were There: The March on Washington – An Oral History will encore on CNN/U.S. on Sunday, August 25 at 8:00p.m., 11:00p.m., and 2:00a.m. All times Eastern.